Man, this was a hot give away. Lots of entries… so for that I want to thank everyone! These give aways are a blast to do, and I definitely want to keep them coming! I want to send out a special thank you to Jim Normandy to offering up a pedal for the give away. Please take a moment to check out his awesome.. and I mean… awesome guitars at NormandyGuitars.com. Also follow him on Twitter and Facebook! Thanks Jim! Ok, the winner! 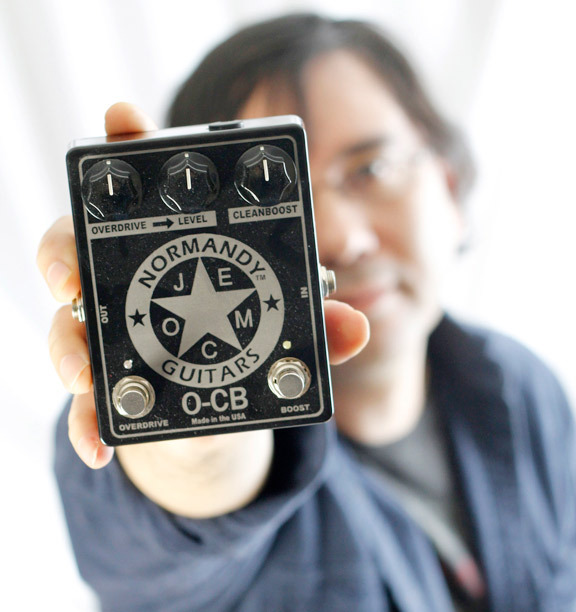 The winner of the Normandy Guitars O-CB Overdrive / Clean Boost is Chris W. of Worcester MA! Congrats Chris!! Hope you enjoy this pedal. It’s a good one, and it will ship today. If you’re up for it, would love to get a guest review! For those of you that didn’t win, I’ll be posting another give away in the near future, so be sure to keep your eyes out for it! Inductor Guitars MP-1 Give Away – Reminder! Congrats Chris! I’m across the lake in Shrewsbury.